W37 D30 H24 | SEAT H17.5 in A modern update to the classic Gus* Modern Jane Series, the Jane 2 Lounge retains the iconic, mid-century look while adding contemporary enhancements. 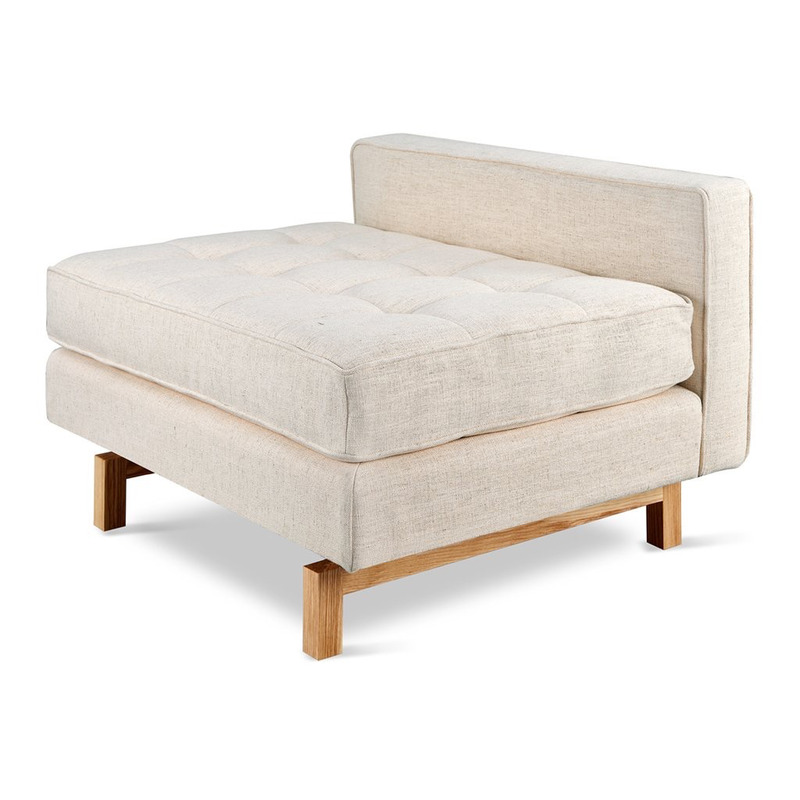 Perfect for a living room, bedroom or entryway, this small-scaled lounge functions as standalone seating, or it can be combined with the Jane 2 Sofa to create the Jane 2 Loft Bi-Sectional. Piped upholstery edges and button-tufted cushions create photogenic surface details that are enhanced by Jane 2’s new, more refined proportions. A new wood base (available in light or dark wood finish) is inset on each piece, creating a sense of weightlessness that maximizes light and space. The frame is constructed with kiln-dried 100% FSC®-Certified hardwood in support of responsible forest management. Add the Jane 2 Lounge to the Jane 2 Sofa to create the Jane 2 LOFT Bi-Sectional. 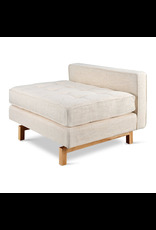 Seat and back cushions are button tufted and have piped edge detailing. Reversible seat and back cushions are crafted with high resilience polyurethane foam covered in a Dacron® wrap. Inset solid Ash wood base with walnut or natural finish features non-marking feet. Inner frame is 100% kiln-dried FSC®-Certified hardwood. All joints have been stress tested. 9-gauge No-Sag, sinuous spring suspension system.